Rajeev Thakkar: We had no insight into the lawsuit coming. It is just a matter of chance that it happened. Our original Apple purchase was a valuation call, the no growth was priced in. There was plenty of cash on books and the stock almost doubled in slightly more than a year. So, it went to the other side. Now that the tax reform has happened, they are expecting cash to come back. See the issue with a company like Apple vis-a- vis the other companies say a Facebook or a Google is that Apple has to keep running to be in the same place. They are heavily dependent on the upgrade cycle and that is why this slowing down of the phone. They cannot let you be happy with what you own. You have to continuously fall in love with the new shiny device that they come up with and get rid of the older one. Arguably, the smart phone cycle is peaking. This holiday season for example the fancy new gadgets were Amazon echo, Google Home and the voice assisted devices and the changes in the smart phones are incremental these days rather than something very dramatic. ET Now: The fact is that following Facebook, you have twitter also trying to dabble with that sort of advertising model. YouTube has done its own thing with targeted advertising but they have not been able to break Facebook's set up in a meaningful manner. How long can Facebook enjoy this competitive advantage at a time where now everybody knows this is a model that is in the works and is working for them? Rajeev Thakkar: YouTube is of course a part of Google Alphabet. So, they are getting it right. They are also growing decently well. Facebook has got it right. For Twitter, the challenge has been that they are not getting meaningful engagement with their users. There are a few people -- celebrities or business leaders, politicians, who use it as a broadcast medium to send out their messages and some people just come in quickly consume the data and log out. So, they have been having their own challenges. Let us see whether they are able to work it out or not. One company which is getting it right is probably Amazon because that is the place where people go with the intent to purchase and that is the new equivalent of a store placement where you are searching for a particular product item and your ad appears right next to it. The chances of getting a purchase are higher. So, Amazon is an advertising giant but people think of it as just an e-commerce company. 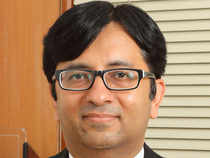 Rajeev Thakkar: Average returns from equity markets have been far lower for the industry and so last one year's returns have to be taken as exceptional. They cannot be taken as representative of what the future will look like and no one knows what the future holds but if I had to guess, I would guess it would be far lower than 2017.